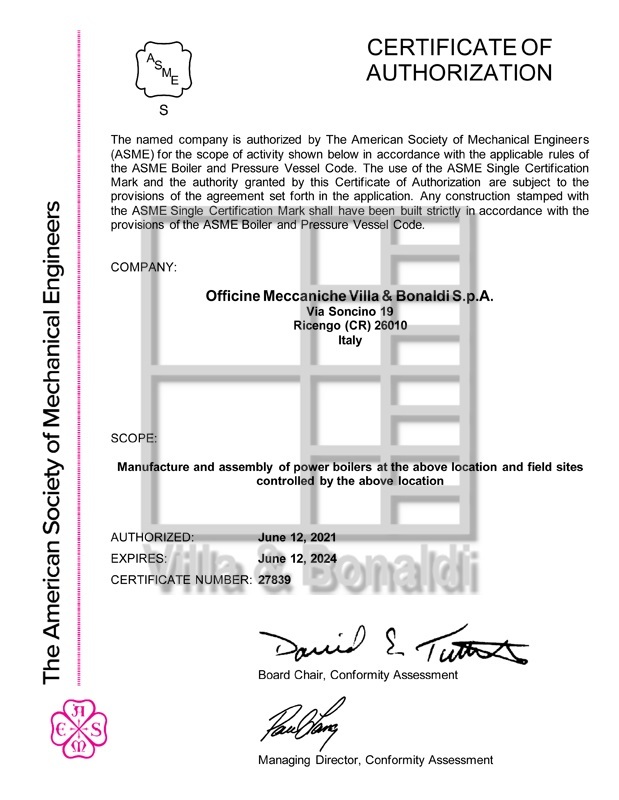 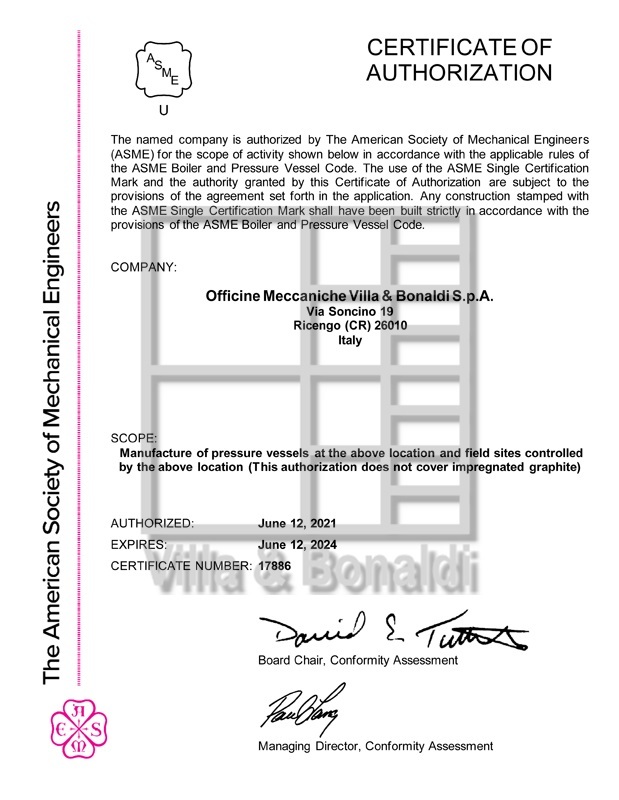 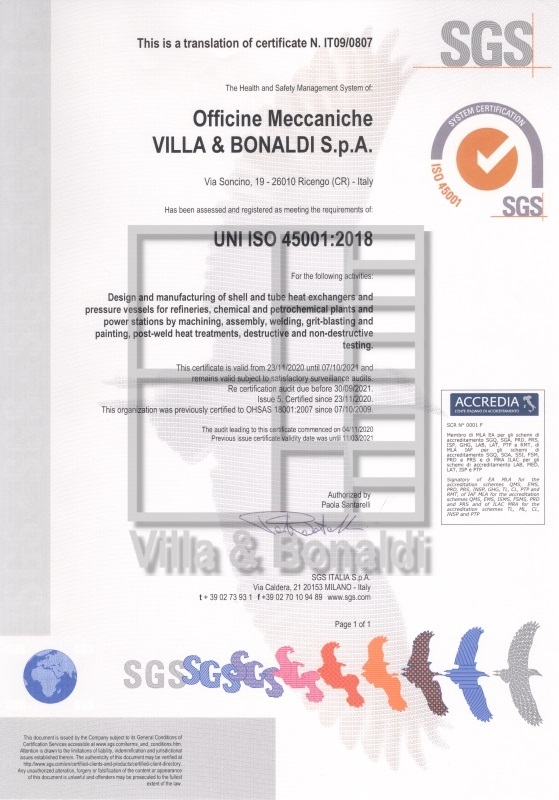 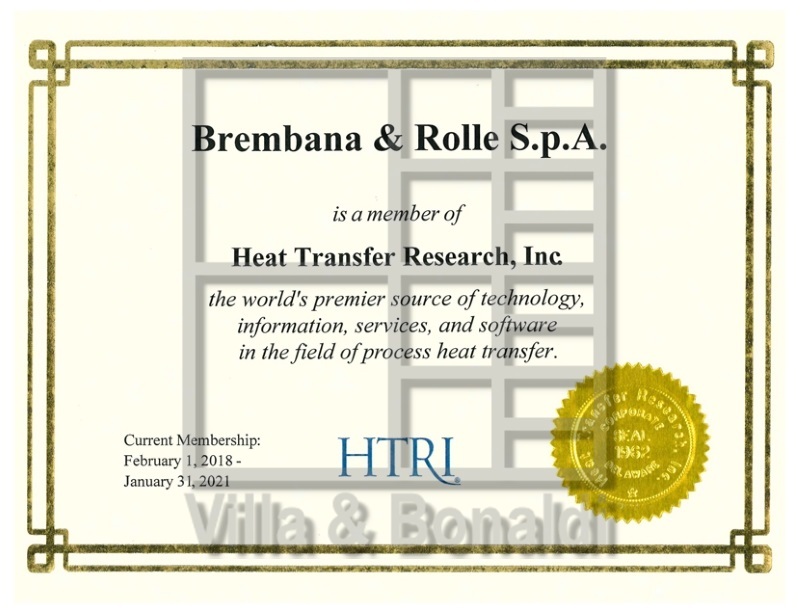 3834-2:2006 (ISO 3834-2:2005), both certified by DNV. 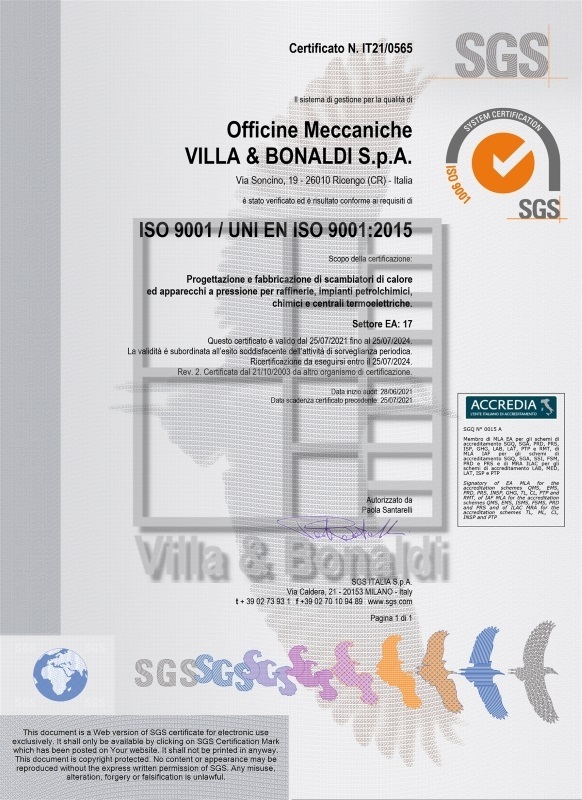 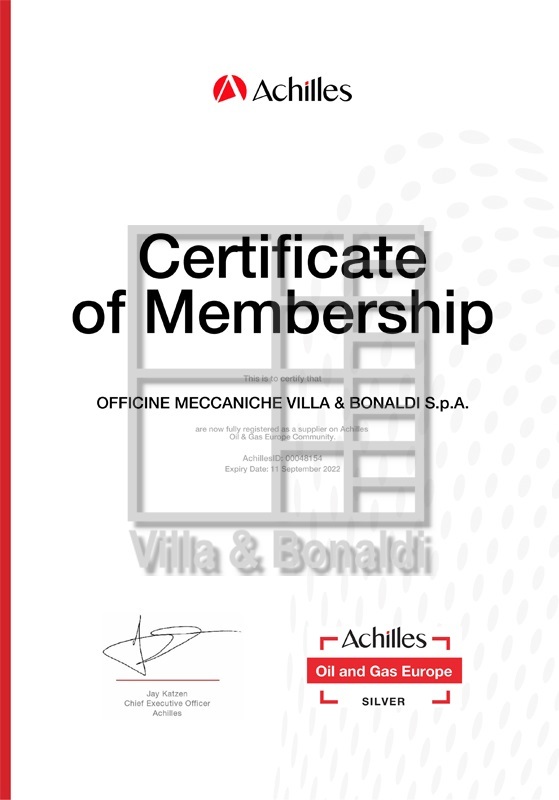 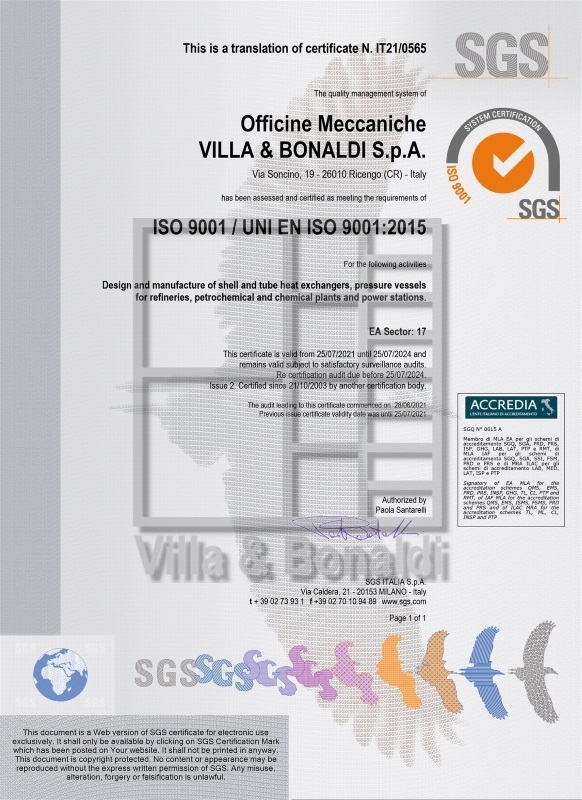 meets the requirements of OHSAS 18001 - Ed. 2007 and is certified by SGS. 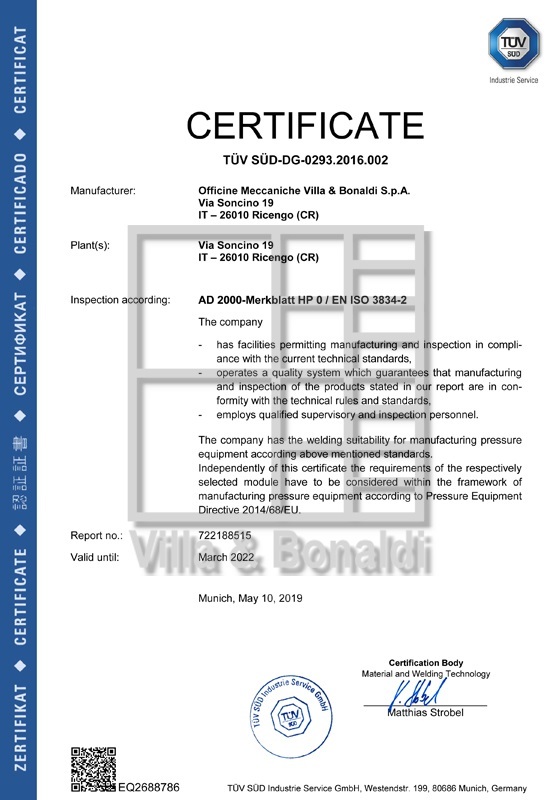 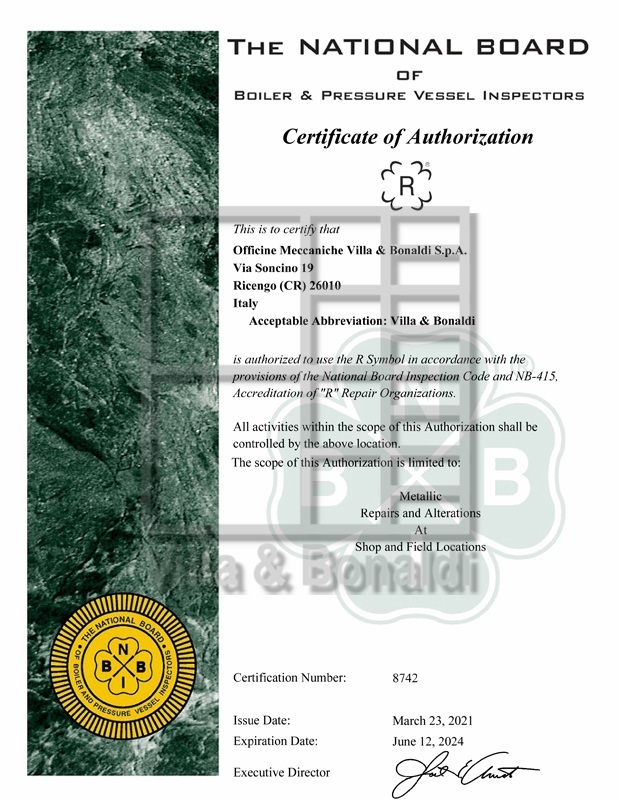 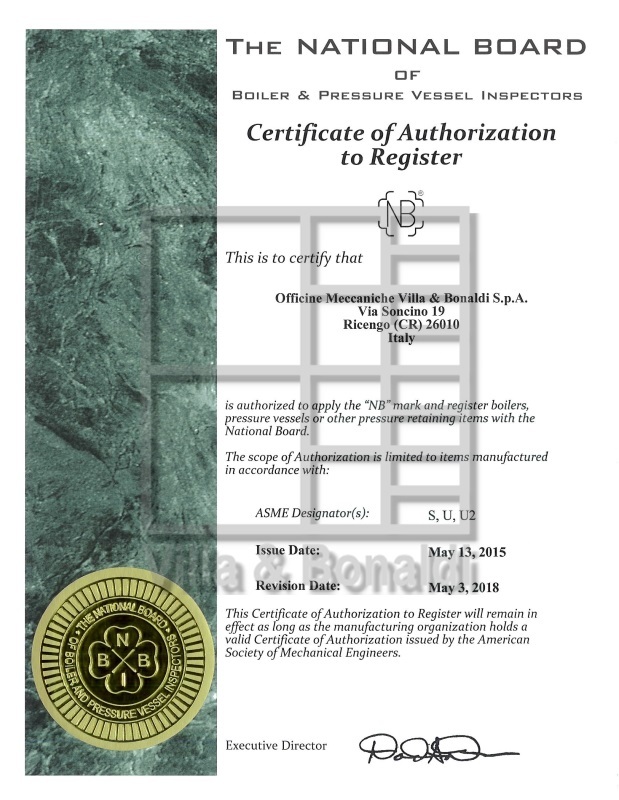 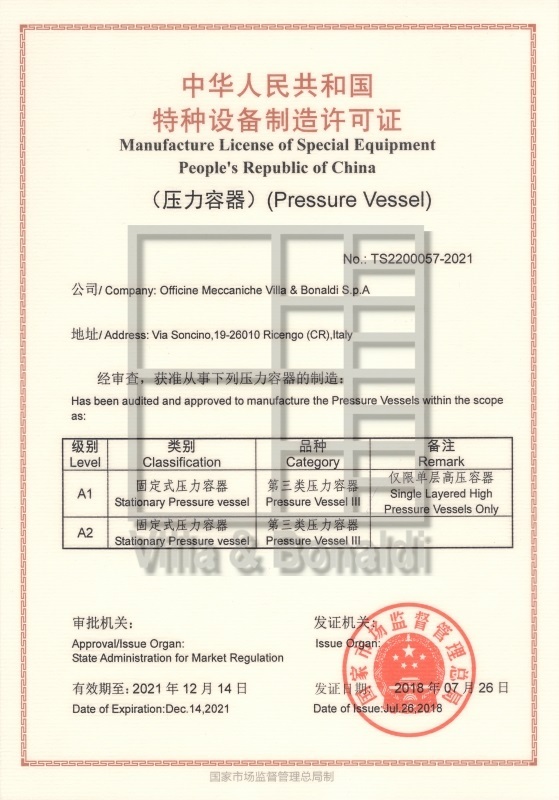 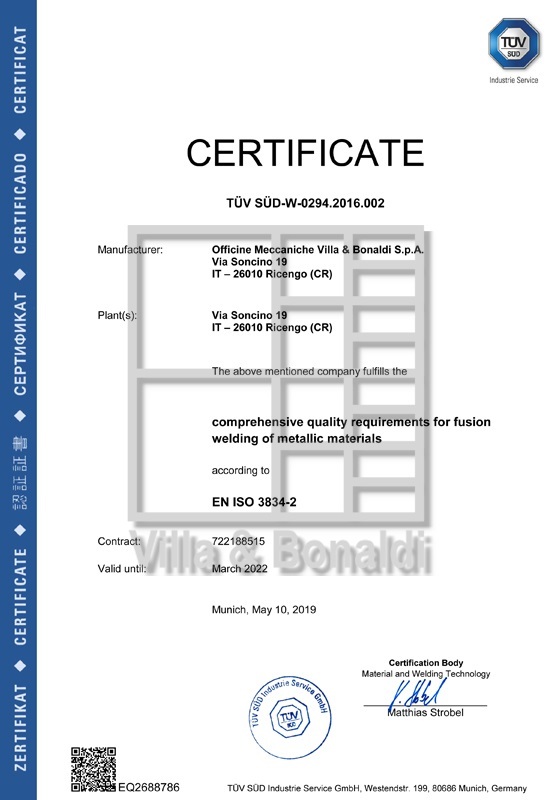 The company is authorized to apply the “NB” mark and register boilers, pressure vessel or other pressure retaining items with the National Board.